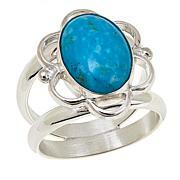 Bring a lovely touch of natural gemstone color to your finger with this beautiful turquoise ring. 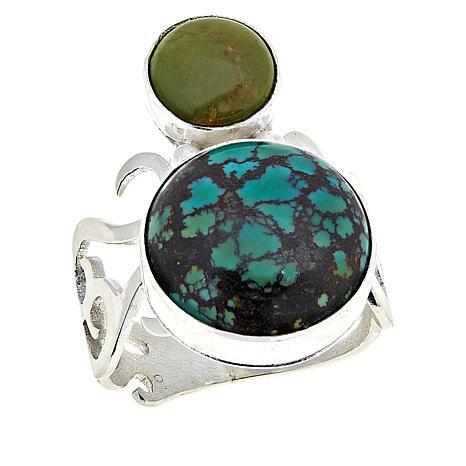 It features two rounds of multicolored Hubei turquoise, known for its unique blend of blue, green, brown and black shades. 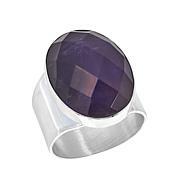 Ring is versatile with different colors, and the silver scrollwork design on side of ring also adds to it's attractiveness. I like everything about this ring. It is comfortable to wear in my regular size 8. 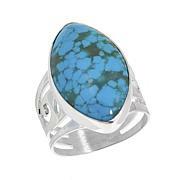 The Hubei turquoise is gorgeous, and the design of the sterling band complements the stones beautifully. I'm glad I got the matching necklace, too. Good value! 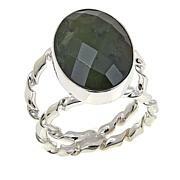 I really like the style of this ring, it is so cute! I got the 7, and it seems to fit true to size. I like the band as well. So glad I got this. While the stones, are different, the small one is green, and the other one is blue they compliment each other perfectly, just like in the necklace! So happy!